"Your brand is what other people say about you when you’re not in the room". "Overall, because branding is about creating and sustaining trust it means delivering on promises. The best and most successful brands are completely coherent. Every aspect of what they do and what they are reinforces everything else". Whatever an organisation’s size or sector, branding is one of the most important aspects of its business, and an effective brand strategy can really give you the edge in increasingly competitive marketplaces. “While the clients we serve value the independence of each firm, the Praxity offering is often underplayed. 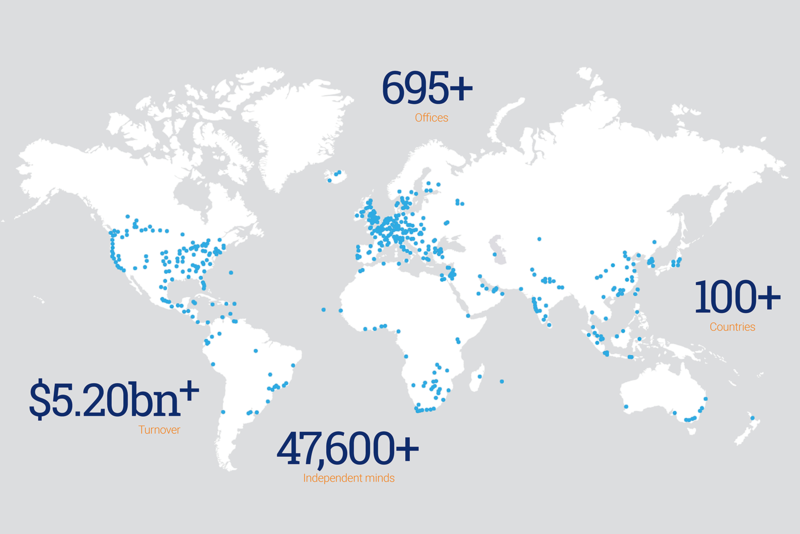 To redress this, we established a Brand Committee to take forward a project to update Praxity’s brand – helping to deliver its true potential for global success”. The project was led by Praxity’s Incoming Chair Gordon Krater and Praxity’s Executive Director Græme Gordon, and involved revising the Alliance’s purpose and position, as well as developing a new logo and various marketing communications materials. You may already have seen evidence of the new approach – here, Græme answers some key questions about the project. First things first – what is branding? The practice of branding is thought to date from around 2,700 BC when ancient Egyptians first burned symbols into their livestock’s hide to establish ownership, differentiating their animals from other owners’ stock and protect against theft. The term has evolved as businesses aimed to find ways of distinguishing their products and services from their competitors, to influence the choices of increasingly discerning consumers. ‘Brand’ now suggests the values and benefits a customer can expect from your products and services and buy into. Simply put, it’s your promise to your customer. Many believe that there is often so little to differentiate between several types of products, and therefore branding is one of a few remaining ways to distinguish your organisation. 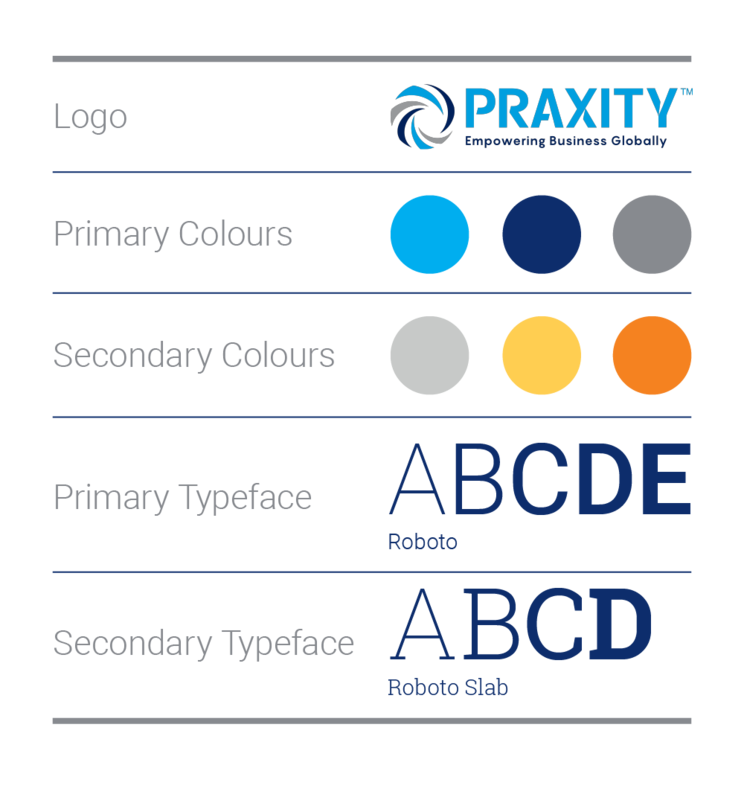 Why has Praxity rebranded now? 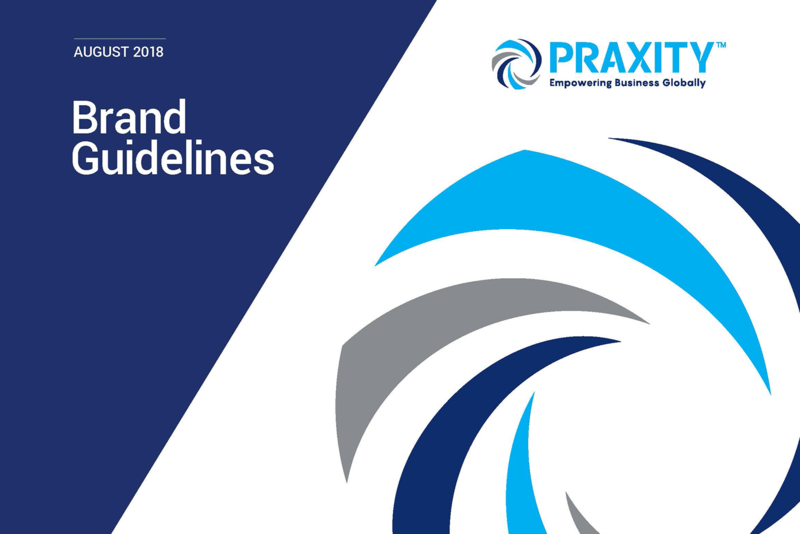 It’s been more than 10 years since Praxity’s inception and the world has changed a great deal – it was time for a review, which showed us that the Alliance has grown and evolved beyond what was originally conceived and it had met most, if not all, of its initial goals. In an increasingly competitive marketplace, we needed to ensure Participants felt confidently able to explain the benefits of their Praxity membership to their clients and prospects, efficiently and effectively. This isn’t Praxity’s first rebrand, is it? Our brand was refreshed in a less extensive exercise around six years ago. Although this was right for the environment then, so much has changed that we needed a wholesale review of the Alliance’s purpose and position, rather than a Mission or Vision Statement, to ensure we were fit for the future. What led you to the new purpose? We explored what successful modern companies did to brand themselves so clearly. 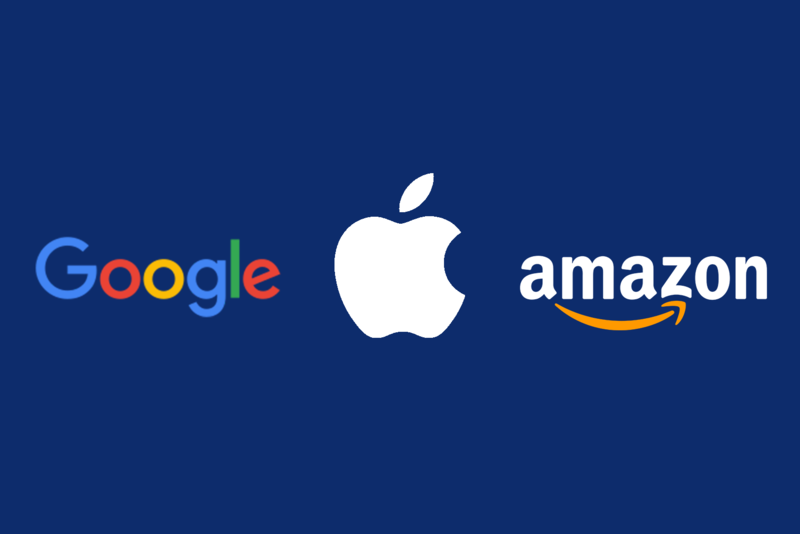 In a time of globalisation and technological revolution it seemed we had much to learn from tech-savvy and forward-looking global companies likes Apple, Google, Amazon and other digital disruptors. In all cases they had ditched the traditional approach with visions and missions and instead focused on placing their key ‘purpose’ at the heart of their brands. How did you arrive at a new purpose? A specially convened sub-committee of marketing and branding specialists from Participant Firms generated some key components of a new statement of purpose, with input from representatives of the Praxity Board and our strategic communication partners – AdFarm. This was shared with all Managing Partners of the Alliance’s (then) 64 firms for comments and suggestions. The subcommittee reviewed the rich range of contributions and distilled the long version that emerged into a pithy statement of an appropriate length. Lawyers adjusted it to ensure we did not contravene any of the regulatory requirements that distinguish an alliance from a network. The final polished version has been approved by the lawyers and adopted by the Board. “To assist our Particpant Firms in finding the best solutions for achieving their clients’ goals, through seamless collaboration within Praxity’s global alliance of independent firms”. It’s not all about the new logo, of course, but tell us all about the new logo! Having worked with us to establish our purpose and a position statement, our professional partners AdFarm prepared some design approaches they felt could visually represent our new brand position and organisational values. The sub-committee recommended their favoured logo to the Board who unanimously approved its adoption. Any reason for the particular colours? As a truly global alliance of independently branded firms, we were clear we needed a visual approach that didn’t compete with Participant Firm brands, took account of cultural sensitivities and also avoided adverse associations in a very busy sector. 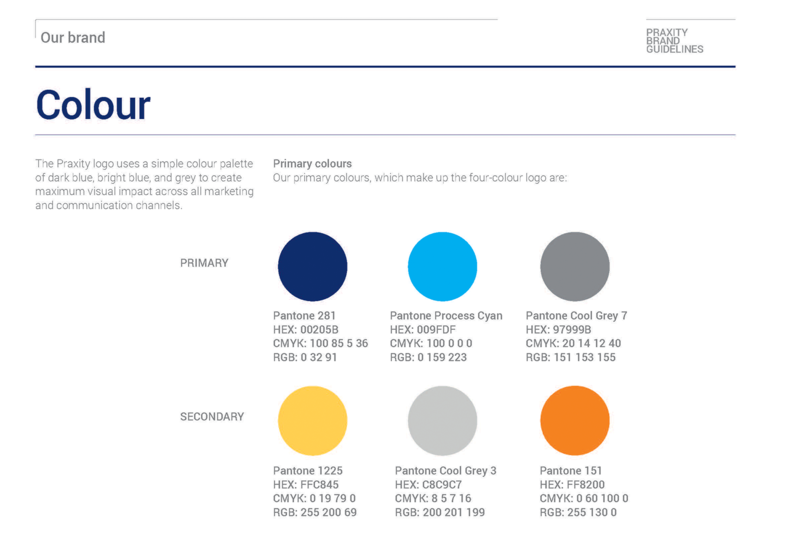 We chose a palette of fresh, contemporary colours that not only reinforced the modern professional feel we want to project, but also provided sufficient variety to meet the design requirements of the full range of our communication materials and platforms. What does all this say about Praxity’s ambitions for the future? 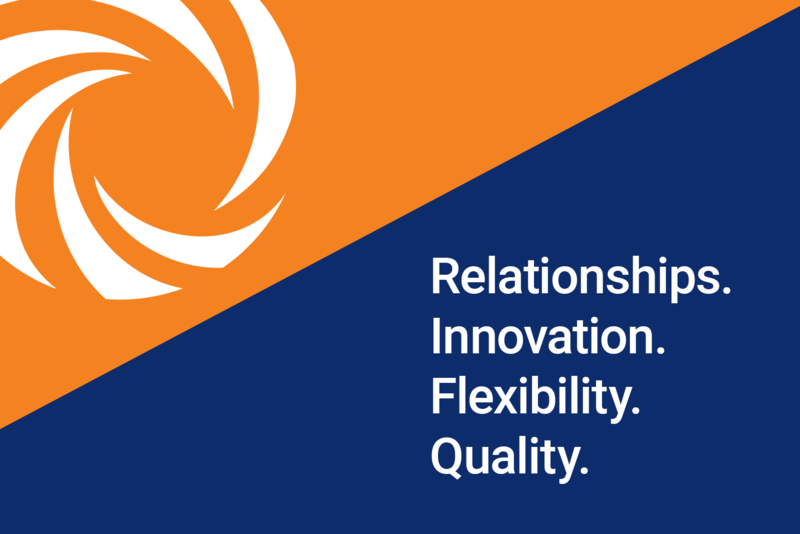 This rebrand places our commitment to ‘empowering our Participants as champions for global business success’ at the heart of our work to develop the services they need to enjoy all the benefits of Alliance membership, while retaining the transparent independence that makes them best in class. How will this set Praxity apart – aren’t you just playing ‘catch-up’ with other big firms? In the accounting industry many feel it would be great to have the name recognition enjoyed by one of the Big Four. But those giants have spent many millions over decades to consolidate their reputation as leaders in markets that many firms in the Praxity Alliance are not interested in pursuing. Besides, recent allegations of wrongdoing along with a groundswell of industry appetite to see them ‘split up’ shows how much more brand reputation is informed by reality than rhetoric. Praxity Participant Firms are already successfully offering clients a competitive alternative to the Big Four and distinguishing themselves over branded networks through their independence, flexibility and reach. This rebrand will enable them to continue doing so well into the future, confident in their ability to describe how their participation in Praxity benefits their clients.